I brought a container of fresh pineapple home from the supermarket – already peeled, cored and cut – thinking to provide a convenient snack, needing no preparation. What I imagined would be gone in mere hours, was still languishing in the refrigerator days later – so I promptly looked for recipes to transform this tropical fruit. 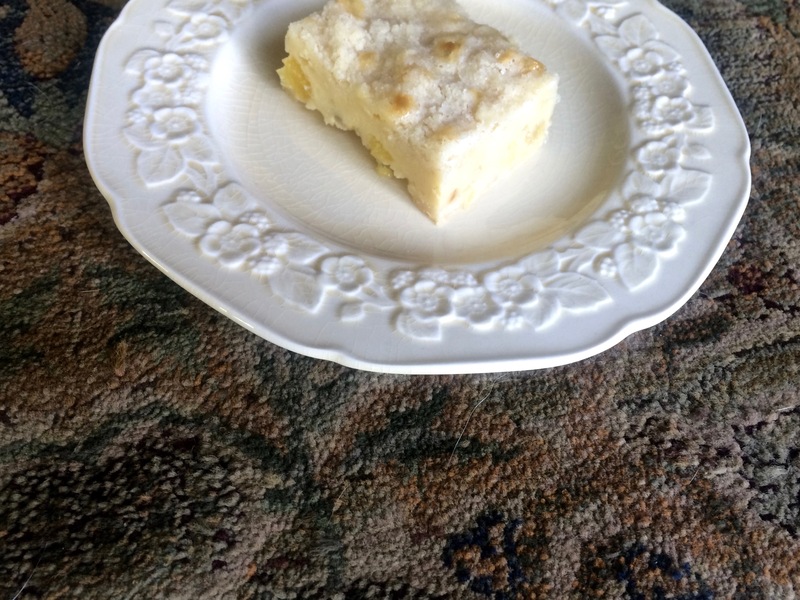 After chopping, measuring, mixing, patting, pouring and placing the Fresh Pineapple Bars into the oven, I received a call from the school nurse, informing me my daughter wasn’t feeling well and would need to be picked up. Torn between motherly duty and bakers responsibility, I turned the temperature down on the oven and made the drive across town – with the bars being no worse for my neglect during their cooking time. 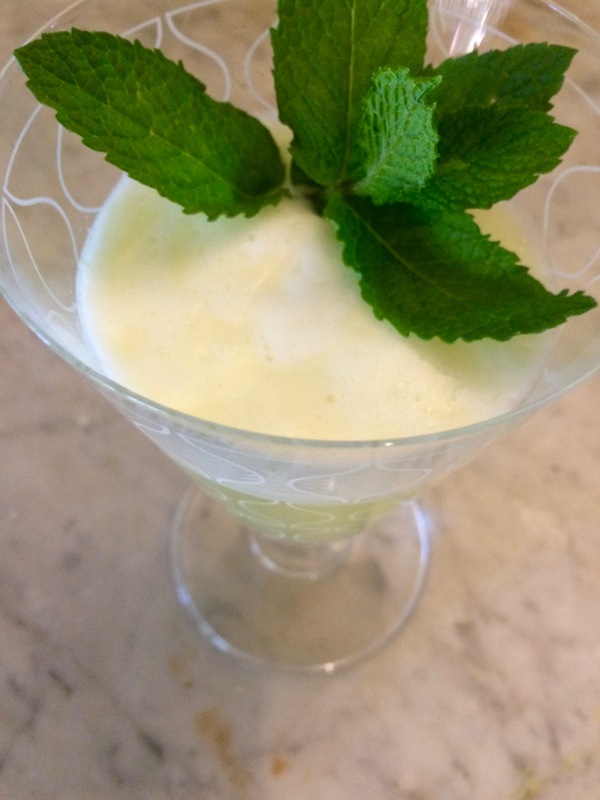 By comparison, using up the rest of the fruit was simple – I blended it with lime and simple syrup, poured it into three glasses, topped two of them with gin and a sprig of fresh mint and enjoyed a happy hour with my husband and daughter. Heat oven to 350F. Line an 8-by-8-inch pan with foil, spray with cooking spray, set aside. In a large bowl, add the butter, 1 cup flour, 1/2 cup sugar and salt. Using your fingers, rub the butter into the dry ingredients until it resembles breadcrumbs. Reserve 3/4 cup of this mixture, set aside. Transfer remaining mixture into prepared pan and lightly press crumbs until even to form a crust. While crust bakes, make the filling. In a large bowl, add the egg, remaining 1/2 cup sugar, sour cream, vanilla extract, and remaining 1/4 cup flour and whisk until smooth. Remove the crust from the oven and top evenly with pineapple. Pour the sour cream mixture over the pineapple. Sprinkle the reserved crust mixture over the top to create the crumble topping. Bake for 35 minutes, or until edges and top are set. Place pan on wire rack and allow to cool for at least an hour before slicing and serving. Blend 3 cups fresh pineapple pieces with 1 cup ice and 1 ounce of pineapple juice. Mix in 2 ounces simple syrup and 2 ounces fresh lime juice. Pour into glasses and top with gin, stir gently to mix. Garnish with mint. 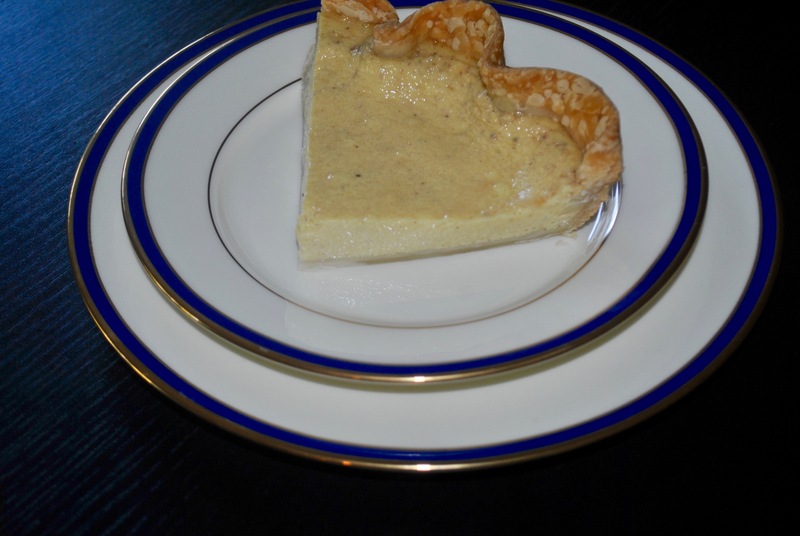 A delicious, effortless dessert for Derby Day! Stir the sugar, water and 3/4 cup plus 2 tablespoons bourbon into a wide-bottomed saucepan. Bring to a boil over medium heat. Boil for 5 minutes, stirring to dissolve the sugar. Turn down the heat so the syrup simmers with medium bubbles. Wash the peaches, then cut in half and remove the pits. Lower the halves, cut-side down into the syrup. Poach for 2 to 3 minutes, then turn over and poach for another 2 to 3 minutes. Remove peaches to a dish. Measure out 3/4 cup plus 2 tablespoons of the poaching liquid into a small saucepan, add the remaining 1/4 cup bourbon to the saucepan and boil until reduced by half and thickened, about 3 to 5 minutes. Meanwhile, peel the peaches, remove any remaining pits and arrange, cut-side down on a serving plate. 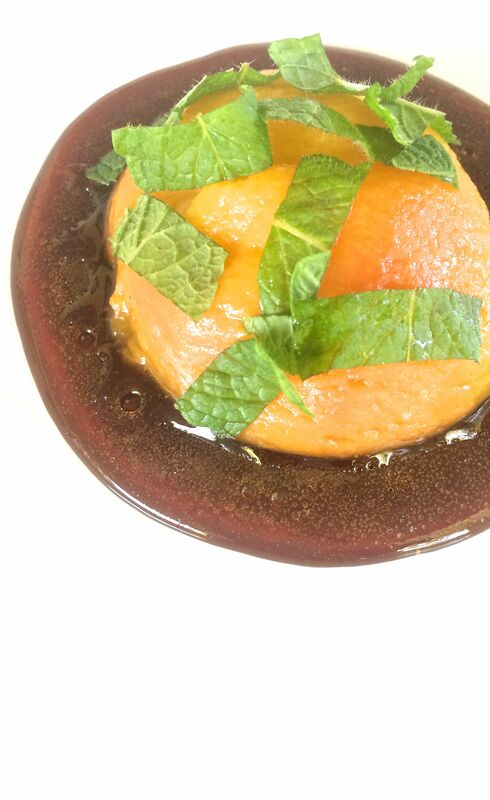 To serve, pour syrup on plate, top with peaches and scatter chopped mint leaves over them. I had noticed Cava as an ingredient in various cocktail recipes, and knew it was a dry sparkling wine, so I usually substituted whatever bottle of bubbles I happened to have on hand. However, on a recent visit to a local liquor store, I asked about Cava, and the lovely and knowledgeable lady simply explained it is a Spanish sparkling wine, made using the traditional champagne method. Fill a large pitcher halfway with ice, add fruit. Tilt pitcher and pour Cava very slowly down the side, to preserve the bubbles. 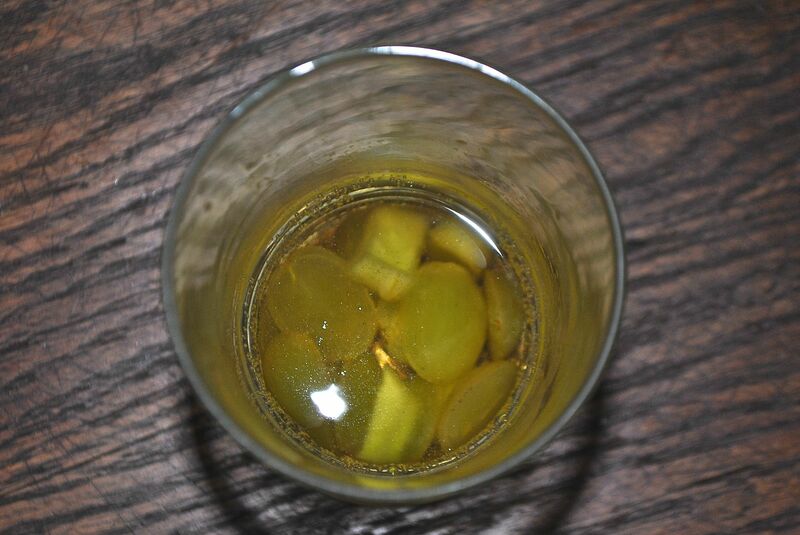 Add juice and Licor 43, stir gently. 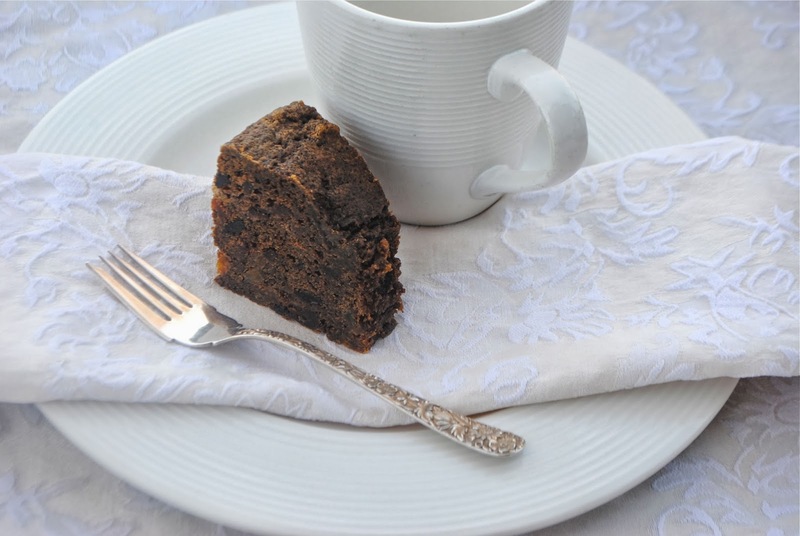 Although I realize Fruitcake is maligned the world over, it remains one of my favorite Christmas traditions, although not one recognized every year, nor celebrated by the rest of my family. I aspire to bake a moist, dense delicious cake, reminiscent of my Childhood treats – although to be honest, I was in College before I could fully appreciate the beauty of fruit in a cake. In a large bowl, combine sugar, flour, soda, spices, eggs, lemon rind, vanilla, 1/2 cup brandy, fruit, nuts and melted butter. Mix thoroughly, and pour into prepared pan. Bake for 1 hour, or until a tester inserted in the center comes out clean. Wrap cooled cake in foil. Sprinkle 2 tablespoons of brandy over the cake every day for 2 weeks. 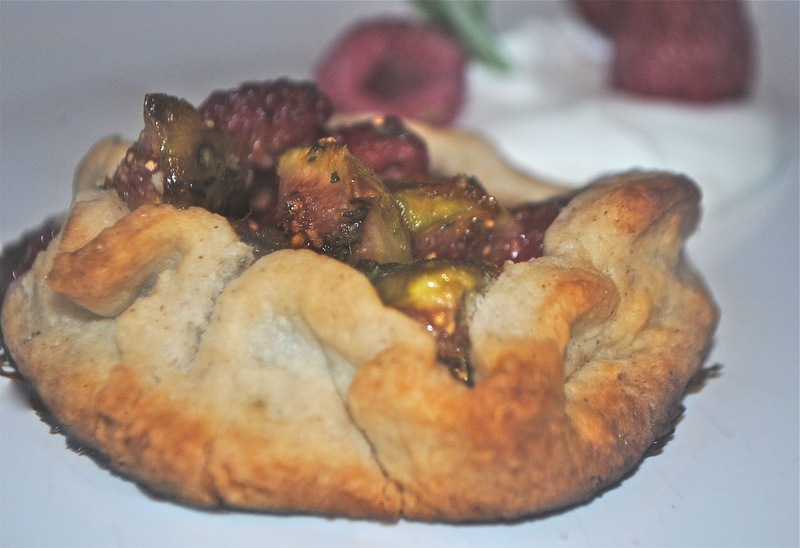 Both the Fig and Raspberry Crostata, and Blueberry Nectarine Tart make a fun, fruity, flavorful and fresh finish to a wonderful meal. Put the flours, sugar, cinnamon and salt in a food processor. Add the butter and pulse in short bursts until the mixture resembles coarse meal. Add 3 tablespoons cold water and pulse. If the mixture seems dry, add water 1 tablespoon at a time pulsing until the dough just starts to come together. Turn the dough out onto a clean work surface, gather it together, and portion it into ten 2 1/2 ounce rounds. Flatten them into disks, wrap individually in plastic, and refrigerate for at least 2 hours. When ready to bake, heat the oven to 400F and line 2 baking sheets with parchment paper. In a medium bowl, lightly toss the figs, raspberries, 1/3 cup of the sugar, the honey, thyme, and orange zest until combined. Sprinkle each round of dough with 1 teaspoon graham cracker crumbs, leaving a 1/2 inch border. Put a generous 1/4 cup of the fig mixture in the center of each dough round, mounding the fruit. Top each tart with a butter slice. Fold the edges of the dough over some of the fruit to create a 1 inch rim, leaving the center exposed. Work your way around, pleating the dough as you go. With a pastry brush, brush the crust of each crostata with cream and sprinkle the crusts and filling with the remaining 2 tablespoons sugar. Bake until the crostatas are golden brown, 30 to 35 minutes. Transfer the baking sheets to racks to cool for about 5 minutes. Mix flour, butter, 3 tablespoons sugar and salt, until mixture resembles coarse meal. In a small bowl, whisk together cream and egg yolk, and then add to flour mixture and mix just until clumps of dough form. Firmly press dough into a 6″ disk, cover with plastic wrap, and chill until firm, about 1 hour. Heat oven to 375F. Working on a large sheet of floured parchment paper, roll out dough into a 12″ circle, transfer dough and parchment to a large baking sheet. In a large bowl, toss together blueberries, nectarines, remaining 1/4 cup sugar and cornstarch until well coated. Pile fruit mixture onto dough, leaving a 2″ border around the edges. 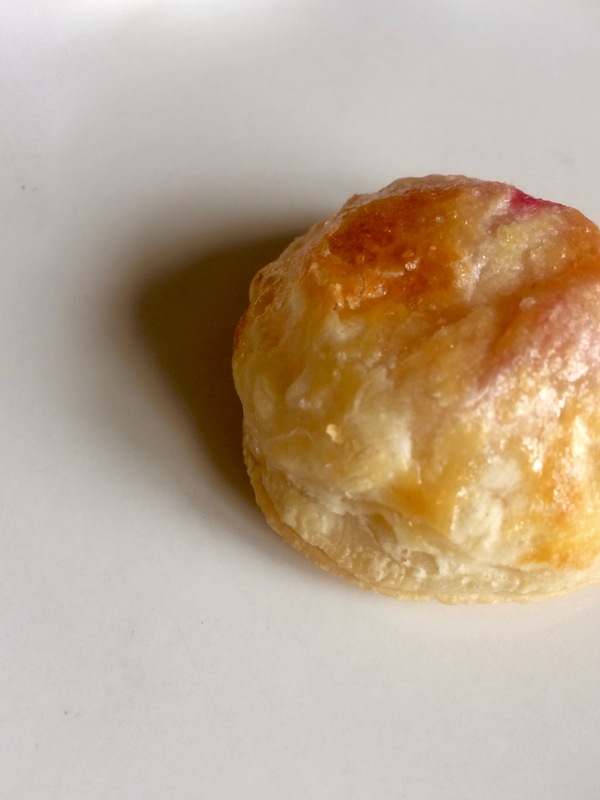 Fold outside dough about 1/2″ over fruit to form an outside edge, being sure to seal any holes, and bake 20 minutes. 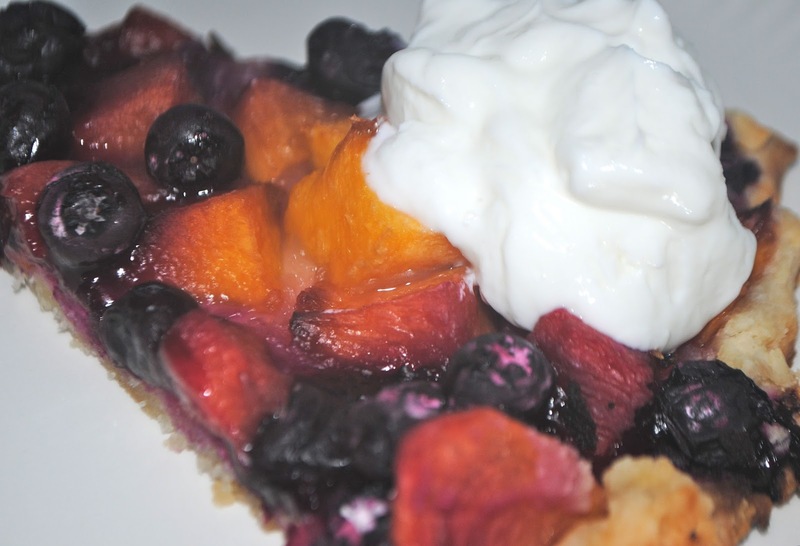 Reduce heat to 350F, continue baking until fruit is bubbly and crust is golden brown, 25 to 40 minutes more. Serve warm or at room temperature. During this hectic time of year – it is wonderful to find a quiet night to cook a simple, nourishing meal for my family! There have only been a couple of opportunities for that this month, but we have made the most of every minute. Place bacon on a microwave safe plate, and cook in microwave about 1 1/2 minutes. Rinse salmon, pat dry, lightly sprinkle with salt and pepper. Wrap bacon around each salmon fillet. Heat oil in a skillet over medium-high heat. 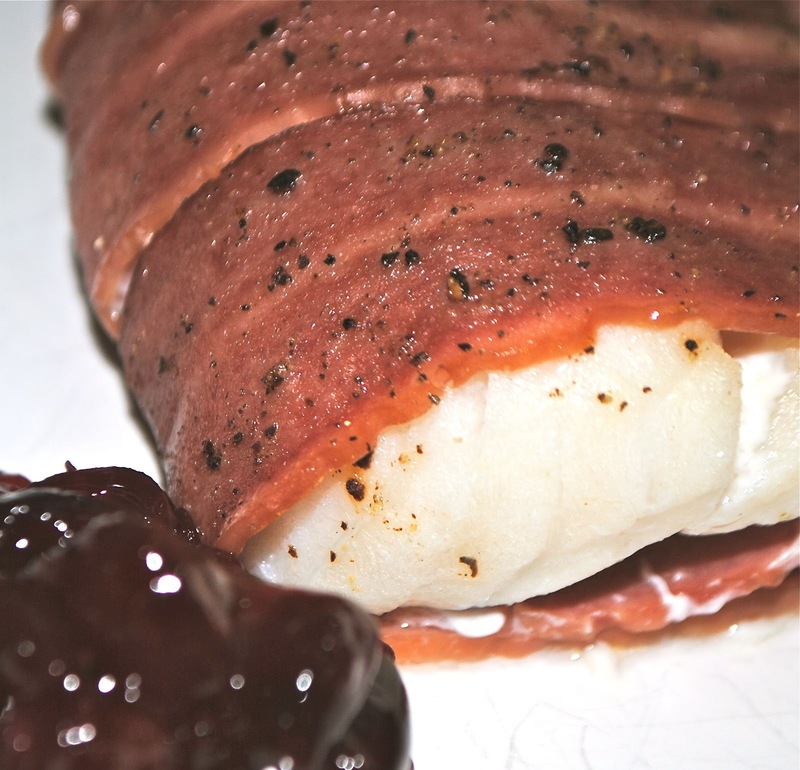 Cook fish, for 3 to 4 minutes per side, or until bacon is crisp and fish flakes easily with a fork. For chutney, in a small saucepan combine jam and cranberries. Cook, stirring occasionally, over medium heat until heated through, Serve cod with chutney and thyme. In a bowl, whisk the egg yolk, mustard and lime juice, season with salt. Whisk in the grapeseed oil in a steady stream until it thickens into mayonnaise. Stir in the basil and tarragon. In another bowl, mix the panko, cheese and lime zest. On a rimmed baking sheet, scatter the green beans, mushrooms, shallots and green peppers. Drizzle with olive oil, season with salt and pepper. Slather the mayonnaise on the seasoned fish and coat with the panko mixture. Arrange the fish on the vegetables. Roast until cooked through, about 15 to 20 minutes.